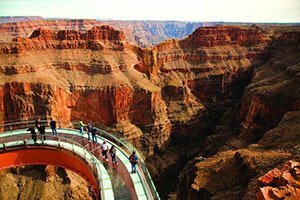 Set off along the historic Route 66 from Phoenix/Scottsdale to the Grand Canyon, where a Grand Canyon helicopter tour over the national park awaits. Home to the Phoenix Suns, Phoenix Mercury, Arizona Cardinals, Phoenix Coyotes and Arizona Diamondbacks, this major metropolitan city is sure to impress sports fans. For vacationers seeking outdoor activities, horseback riding, hiking mountain trails and bird-watching are all available within city boundaries. A bird’s eye view of Phoenix will enhance your desert vacation immeasurably. Cruising over Phoenix’s bustling down town you will be impressed by American West Arena, host to the NBA’s Phoenix Suns and the WNBA’s Phoenix Mercury. Neighboring this impressive sports complex is Bank One Ballpark, home to the championship baseball team, the Arizona Diamondbacks. 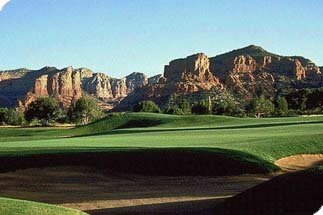 Heading east, you will fly over the scenic area of Papago Park, punctuated by two sandstone buttes which have long impressed visitors with their intriguing shape and texture. The Phoenix Zoo and Desert Botanical Gardens near Papago Park form an oasis in this modern desert community. Two of Phoenix’s most enticing attractions are even more awe-inspiring from the sky. You can’t miss Camelback Mountain standing like a compass point within city limits. This mountain, actually shaped like a resting camel provides residents of Phoenix and its surrounding communities with the most elegant of sunrises and sunsets. Hiking enthusiasts find its rocky terrain and steep paths challenging, but each day hundreds of climbers make the trek to the top to see the view of the Valley of the Sun below. The Salt River, whose water was once harnessed by the Hohokam people centuries ago, flows through the city of Scottsdale, highlighting a green belt of golf courses, public parks and other recreational areas for all to enjoy. Visitors will be busy in Phoenix with year round events, sites and attractions. One flight above the city will give travelers an idea of just how much there is to see! The city of Phoenix attracts a diversity of tourists due to its fusion of athletic, metropolitan, and nature-based activities. The mild weather throughout fall, winter, and spring makes for a perfect extended golf season, and the city even boasts several PGA courses. The Phoenix metro area also hosts the spring training for 15 MLB teams. 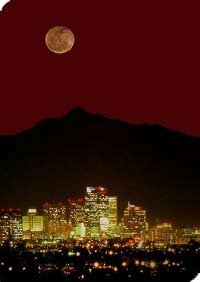 Most sports fans, though, recognize Phoenix as the home of the Arizona Cardinals, the Phoenix Suns, the Phoenix Mercury, and the Arizona Diamondbacks. The city also features the Phoenix Zoo as well as the Desert Botanical Gardens, a sort of environmental oasis amidst the bustling city life. 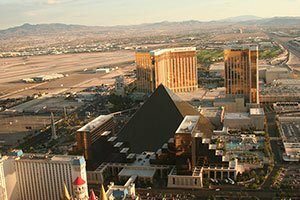 Surrounding the energetic city is a wealth of desert wildlife and nature that must not be missed. It's impossible to miss Camelback Mountain, aptly named for its massive hump that causes it to resemble a resting camel. However, just North of the city lies some of the most profound nature ever to be seen: the Grand Canyon. Our mission at Papillon is to take you and your family to this splendid landmark and show you the various points of interest along the way. 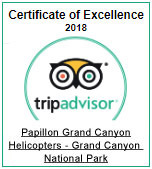 Whether you want to go on a relaxing foot tour of the canyon, or soar over its rim in a helicopter, we will take care of your needs. We will meet you bright and early at your Phoenix hotel, where you'll climb on board one of our comfortable Sprinter vans, customized to enhance your sightseeing experience. Perhaps you would like to visit the Double Eagle Trading Post, an old-fashioned Western town where you can shop and explore. Maybe you'd like to watch the Mojave Desert pass you by. No matter what you choose to do, your journey to the Grand Canyon is part of the adventure, and we cannot wait to show you all of the historical sights and landmarks along the way. 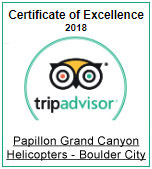 Guests who choose to experience a helicopter ride will be taken through the scenic Central Arizona to the Grand Canyon National Park Airport. Here, a state-of-the-art helicopter will be awaiting your arrival. Upon boarding, you will be lifted up into the air and flown over both the South, and North Rims of the Grand Canyon. This less-visited area of the canyon provides stunning aerial views of the forested canyon valleys, rock gorges, and buttes. 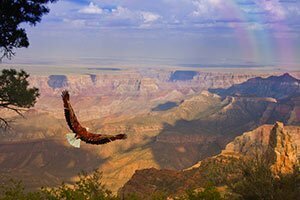 Whether you take a thrilling ride over the canyon by helicopter, or keep your sightseeing on the ground, before long you will arrive via Sprinter van at the Grand Canyon National Park. Upon arrival, the splendor of the landscape will begin to unfold before you. There will be plenty of time to explore various lookout points of the canyon for different perspectives. Guests can also make a short hike to Grand Canyon Village to shop for memorabilia or to find more canyon views. Guests will also be driven through the majestic Oak Creek Canyon, where the lush forestry set against exquisite red rock formations is like a painting come to life. 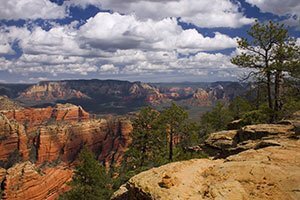 Famous for its many appearances in film and television, Oak Creek Canyon is a beautiful and lasting image on your journey to or from the Grand Canyon. 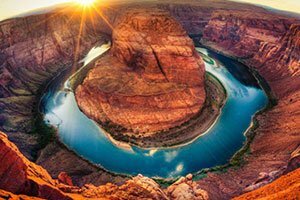 While the city of Phoenix and its surrounding metropolitan area can provide fun activities like sporting events, shopping, and zoo visits, make your vacation a timeless memory for you and your family by experiencing the most fantastic natural landform in the United States: the Grand Canyon.